The champs return with new colorways for their Nike signature shoes. The 2016-17 NBA season is almost here, which means that the drought of player exclusive sneakers for the summer is almost over. In fact, Kyrie Irving and LeBron James ended it a little early over the weekend with this duo of pairs that have only been seen on their feet. 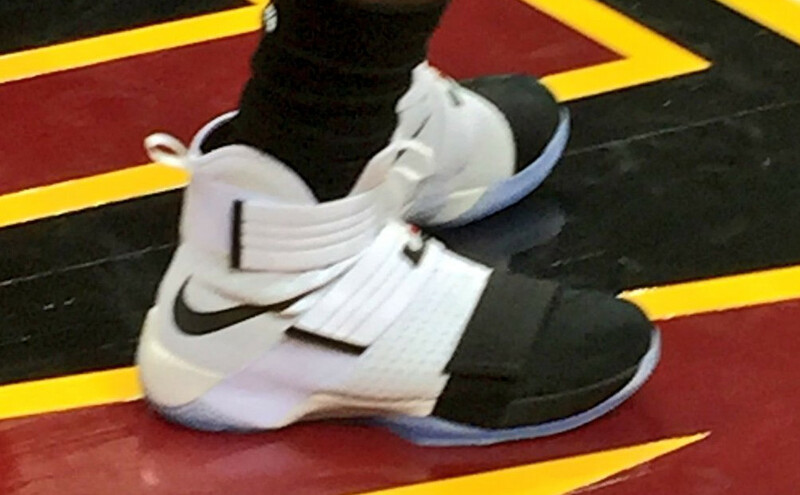 James had a "Black Toe" version of his Soldier 10 while Irving had a flashy take on his Kyrie 2 in Cavs colors. Both pairs were spotted at the franchise's latest Wine & Gold Scrimmage event. It's unclear how much longer James will be wearing the Soldier 10 takedown model as rumors have his upcoming LeBron 14 releasing sometime in October.